Listening to podcasts is one of my favorite things to do. We have so much time during the day where we could be learning at the same time as completing other important tasks. Think about how much time you spend in the car or waiting in the carpool line. What about when you are cleaning the house? This is the best way to spend that time. I prefer to listen to my favorite podcasts when I exercise. 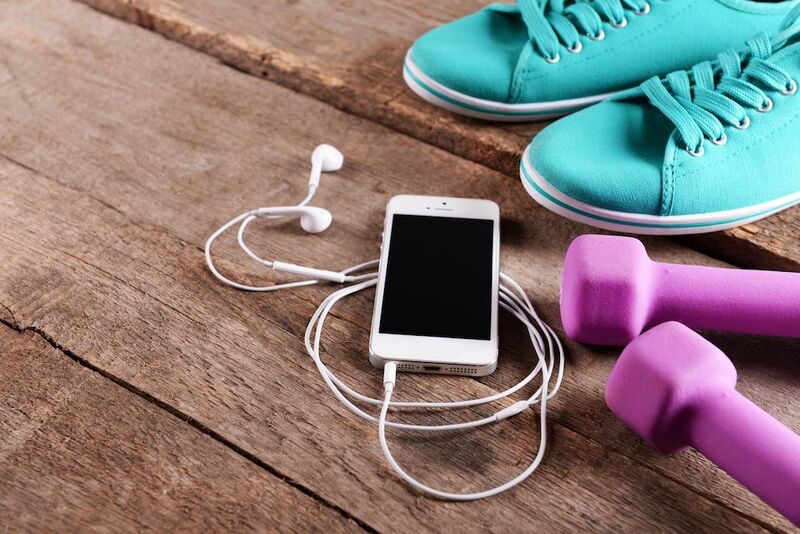 Staying motivated during exercising has not been a strong point for me, but since I discovered these badass podcasts for women entrepreneurs, I find myself walking and jogging much further than ever before. The best part about podcasts is that if you find the right ones, they are full of useful information that you can implement immediately. 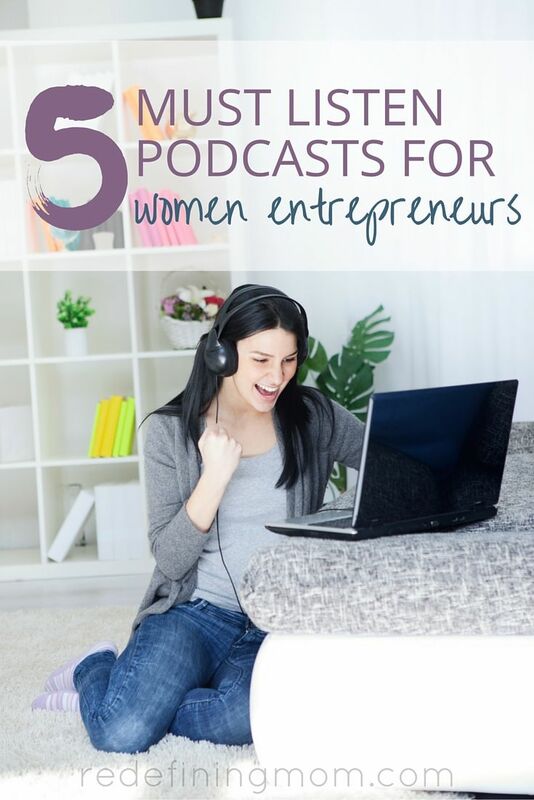 I credit a large portion of my business growth in 2016 to these 5 podcasts for women entrepreneurs. I’ve also created a part 2 with 5 more podcasts for women entrepreneurs for you to check out next. What is Being Boss? A podcast for creative entrepreneurs hosted by Emily Thompson and Kathleen Shannon. Why listen? Emily and Kathleen keep it real. You’ll notice in iTunes they have an “E” next to their show for “explicit content” which means they are as badass as they claim to be. These ladies give an honest look at what it takes to build an online business. There is no sugarcoating but there is a ton of action items to take from each episode. Tuesdays officially became the day that I get my longest workout in because I can’t stand to cut them off halfway through an episode! When are new episodes released? Every Tuesday. Minisodes are released on Friday. 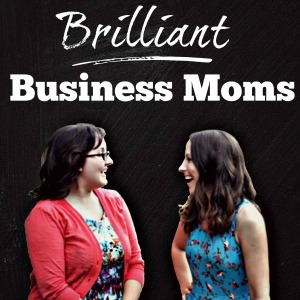 What is Brilliant Business Moms? A podcast for mom entrepreneurs who want to build an online business while raising their families with Beth Anne Schwamberger and Sarah Korhnak (they are sisters!). Why listen? It doesn’t get much more practical than this. Raising a family is hard but pair it with growing an online business and it almost seems impossible. Brilliant Business Moms takes you behind the scenes of dozens of successful mom entrepreneurs who have found success in business and motherhood. When are new episodes released? New episodes are now being released once a month. However, there are more than 130 in the archives, all of which are worth listening to! Episode #107: What’s the Deal with Assets and Depreciation? What is Boss Mom? A podcast for women building their business while raising a family. Get the tools, tips, and support you need to make life a little bit easier. Hosted by Dana Malstaff and NJ Rongner. Why listen? Dana is a very motivating speaker. She comes from a corporate background and offers practical advice on growing your business through a community. Boss Mom offers one of the best Facebook groups I’m part of. 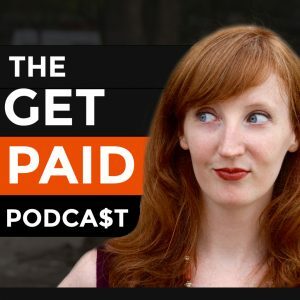 What is The Get Paid Podcast? A podcast that gives an honest look at running an online business by interviewing successful entrepreneurs and digging deep into how they make money online. Hosted by Claire Pelletreau. Why listen? I am particularly obsessed with other bloggers who share their income reports online. It allows me to understand all the possible ways to make money. The Get Paid Podcast does the same thing but takes it a step further by having Claire ask the burning questions that all of us want to know. When are new episodes released? New episodes are released on Tuesdays. What is Online Marketing Made Easy? A podcast for monetizing your online business through actionable marketing strategies. Hosted by Amy Porterfield. Why listen? 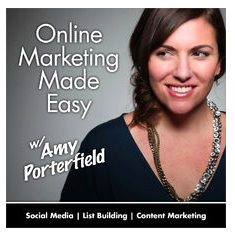 Amy has the type of online marketing experience that most people would swoon over. She frequently mentions her history with Tony Robbins and how she used the skills she learned from him to launch her own successful online business. Amy is an engaging speaker and is always my go-to reference to learn the greatest new marketing tricks out there. When are new episodes released? New episodes are released on Thursdays. Episode 107: How Do I Price My Online Course? Do you want to start your own online business or blog? In my new course, Busy Moms Building: 12 Steps to Running Your Own Online Business for Busy Moms, I break down the 12 steps I took to start my own online business and quit my corporate job. It is designed to give you practical and actionable steps that can take you from not having a business to a thriving business in just 45 days! Already have an online business? Check out my Pin Practical Masterclass, the exact formula I used to grow my email list from 52 to over 10,000 in under a year with Pinterest! ack! I need to carve out a whole day each week to listen to all of the amazing podcasts out there! 🙂 Have you listened to Mary Kathryn Johnson’s “Parent Entrepreneur Power”? it’s one of my favs – she’s super fun to listen to and she interviews some AMAZING and inspiring mamas. Thanks for this list! This is such an awesome list of Podcasts! Have you heard the Blog Fuel podcast? It’s a newer one but it is so so good! Kirsten Thompson of Sweet Tea LLC and Sweet Tea & Saving Grace hosts it and it’s so informative and fun!